The P-32 is a semi-automatic, locked breech pistol, chambered for the .32 Auto cartridge. The firing mechanism is double action only. The magazine has a 7 round capacity. The KEL-TEC P-32 is the lightest .32 Auto pistol ever made. Thanks to its locking dynamics and superior ergonometry, perceived recoil and practical accuracy are comparable to much larger guns. 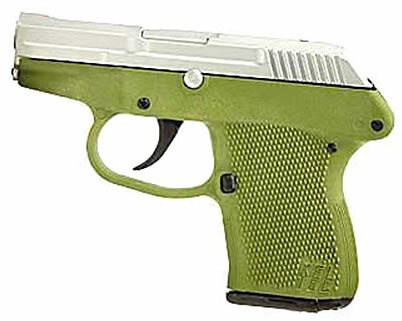 The P-32 is mainly intended for plainclothes police officers as a secondary weapon or for concealed carry by licensed citizens. The small grip size and light trigger pull make the P-32 ideal for female shooters. From the very beginning of the design and development, computers have been used exclusively. All machined components are also made on modern high speed computerized equipment.